OpenText (Version 1.4.3) is a program that displays a pdf file, or a page in a pdf book, when a registration is selected on a PSR, CVP or Tyros. Double click on the msi file to install OpenText on your computer. OpenText is a program that displays a pdf file, or a page in a pdf book, when a registration is selected on a PSR, CVP or Tyros. Normally, selecting a registration does not send any identifying messages to the PC, so there is no way for the PC to respond to a specific change in the instrument’s setup. 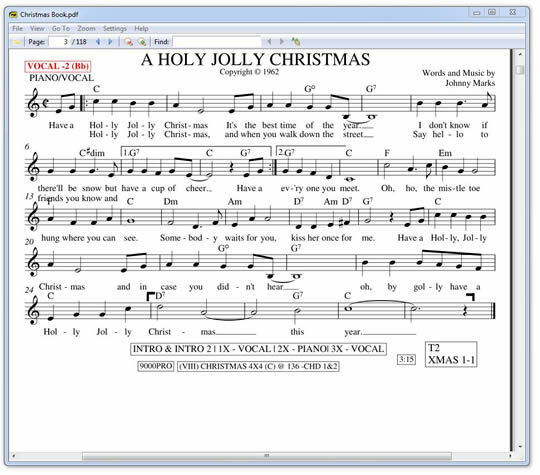 OpenText works around this limitation by creating a special midi song file that, when loaded by depressing the registration button, sends a message which triggers the display of an individual pdf file or a page from a song book on the PC screen. 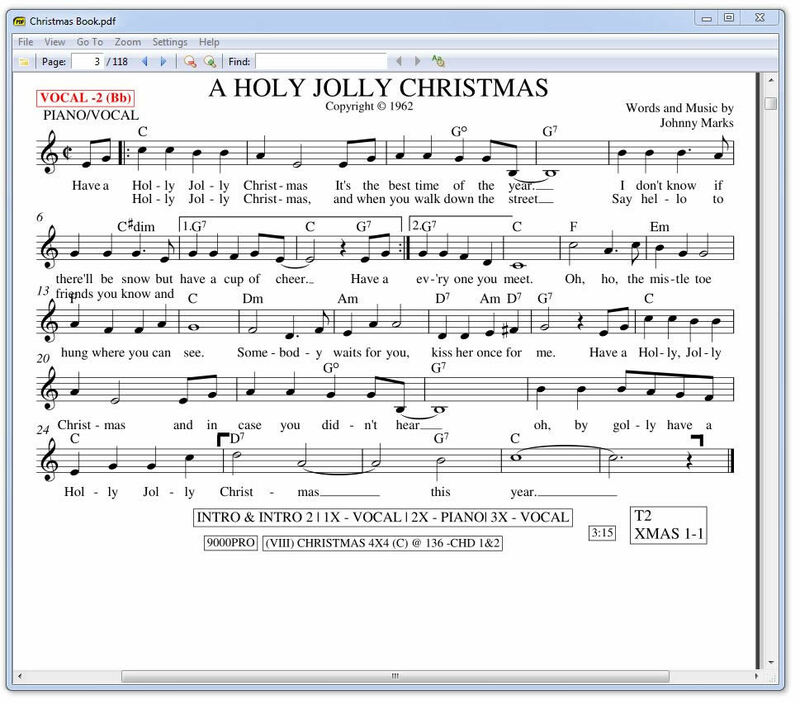 Supports up to 10,000 individual song files or a similar number of pages in each of 12 Song Books. Song Files display in a single window as multiple tabs. Song book pages display in a single window. There is no need to clear the screen or fiddle with PC controls. OpenText uses free PDF readers to view files. Original files are not modified. Works with all recent PSR/CVP/Tyros instruments and Windows based computers.